Lifting is not complicated. You pick something up and put in back down again. Yet more than a third of all workplace injuries which result in someone being off work for more than three days are caused by poor manual handling. In the construction industry, back pain often occurs due to the nature of the job with plasterers, bricklayers and joiners frequently cited at high risk. 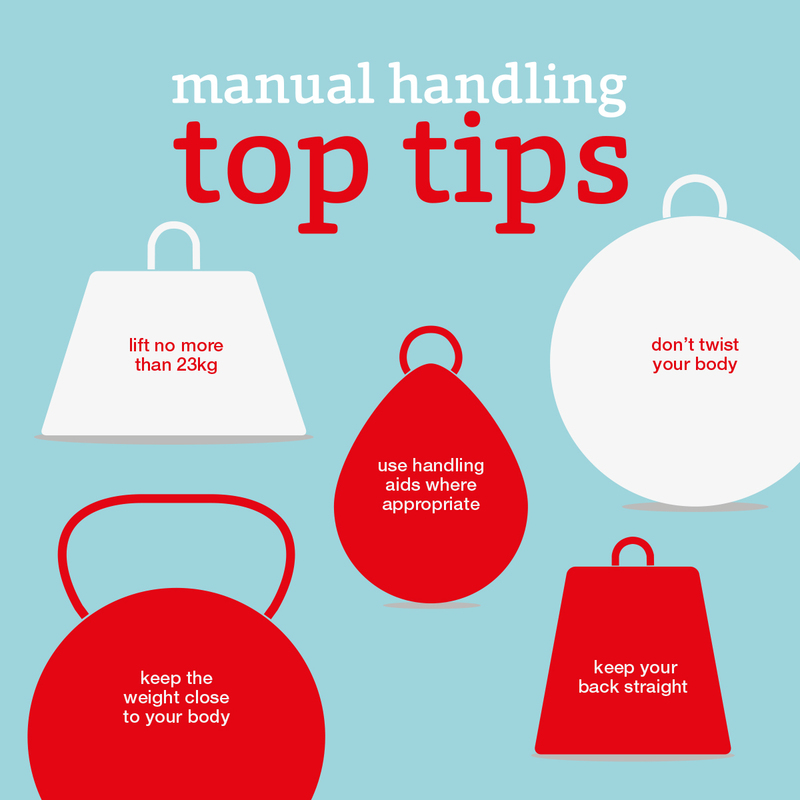 With this in mind, we’ve put together a 'Top Tips for Manual Handling’ to help you get the basics right. • When lifting, lift no more than 23 kg, and do not reach more than 25 cm away from your body. Keep your back straight and don’t twist. • Use handling aids where appropriate – aids can include trolleys specially designed for storing and transporting plasterboard, wheeled storage racks for moving pipes and trucks for handling waste and rubble. • Always try and keep your knees bent when taking bags or boxes out of a vehicle and remember to avoid twisting whilst lifting.